Intercession: For the conversion of all hearts and the end to abortion. Reflection: Today’s Gospel reading from Mark (Mk 2:13-17)* recounts Jesus dining with tax collectors and sinners. When the Pharisees question Jesus about this, he responds, “Those who are well do not need a physician, but the sick do. I did not come to call the righteous but sinners.” In a society where millions of people have fallen prey to the false promises of the culture of death, let us witness to the mercy of Jesus and invite all who’ve been wounded to experience his abundant love and healing. Go to an abortion clinic and pray, or set aside an hour today to pray for those who are struggling with a decision of life or death for their unborn child. Spend some time reflecting upon today’s Gospel passage. Use Facebook or another form of social media to post something that builds up the culture of life. Women’s health, women’s equality, and women’s marriage prospects have suffered from 40 years of nationally legal abortion throughout all 9 months of pregnancy. Learn how in "Life Matters: Roe Plus 40." (Visit www.bit.ly/RoePlus40 to access the full article). 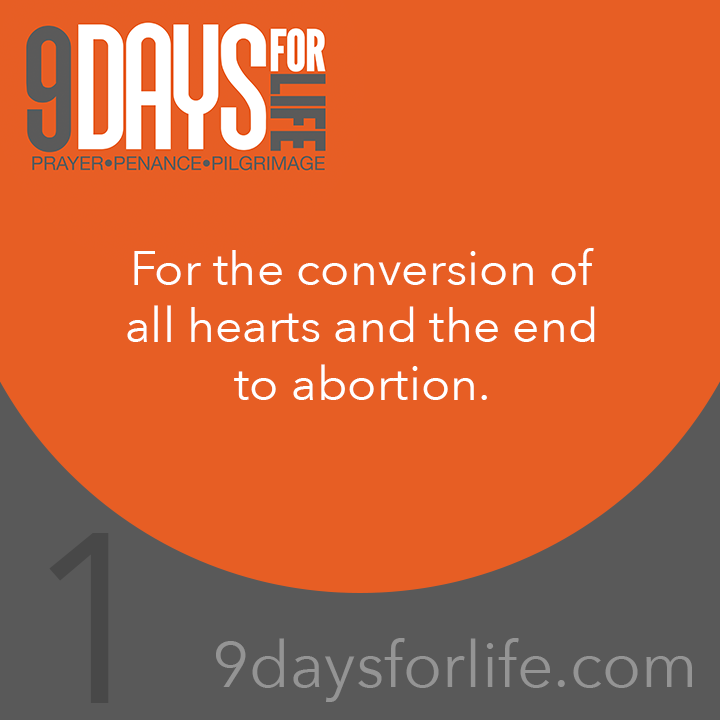 Join Us for 9 Days for Life! Who and What is Pastoral Care Ministry?